Throughout history, no country has ever achieved economic prosperity without urbanizing. On its surface, then, the urbanization trend dominating the 21st century should be good news - not only for the countries experiencing this growth, but the global economy. Upon closer analysis, however, we can see that current urbanization patterns are largely unsustainable - socially, economically, and environmentally. Cities, now home to 55% of the global population, now account for 70% of global GDP. But they also account for an increasing share of greenhouse gas emissions and widening levels of inequality. The current urbanization model that largely favours low-density arrangements and an over-reliance on industrialized forms of transport is contributing to pollution and sprawl. UN-Habitat’s research shows that the absolute number of the world’s slum population has actually been rising over the past 25 years, from 650 million in 1990 to nearly 1 billion today. 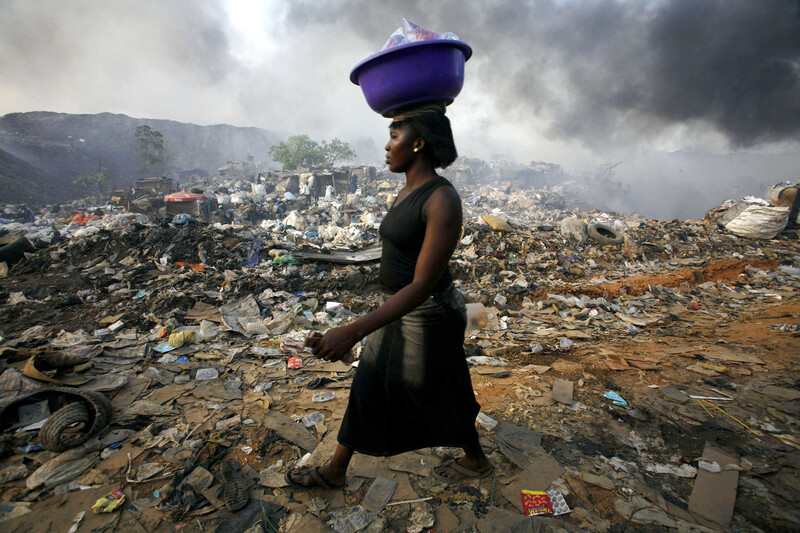 In Africa, which has the highest rate of urbanization globally, 62 per cent of people live in slum conditions without access to clean water, sanitation, and other basic human services. Urbanization should not be seen merely as a risk, but rather as a transformative source of prosperity and sustainable development of all human settlements. When thoughtfully arranged and managed, the process of urbanization itself can be a form of disruptive innovation that provides solutions to the most significant global challenges of our age – from poverty and inequality, to climate change and security. For many cities, though, the pace of urbanization is overwhelming both national and local capacities to capitalize on the opportunities before them. The most common challenges include unplanned urban expansion, ineffectual governance and legal frameworks, and a dearth of local-level revenue generation mechanisms. Cities with the greatest infrastructure needs often lack the capacity and knowledge to develop bankable projects. This is exacerbated by limited access to credit and an insufficient ability to take advantage of endogenous sources of finance, which, for example, could be used to invest in core infrastructure such water, drainage, and energy. One key element for building cities fit for the future is the promotion of mixed used space, which combines residential, commercial, industrial, office, or other land-use, with adequate space reserved for public use. Mixed configurations contribute to urban productivity by making efficient use of a city’s resources, which, in turn, drive economic growth (locally and nationally), ultimately contributing to improved living standards and prosperity. The greatest opportunity is in countries where the form of a city is not yet "locked in". 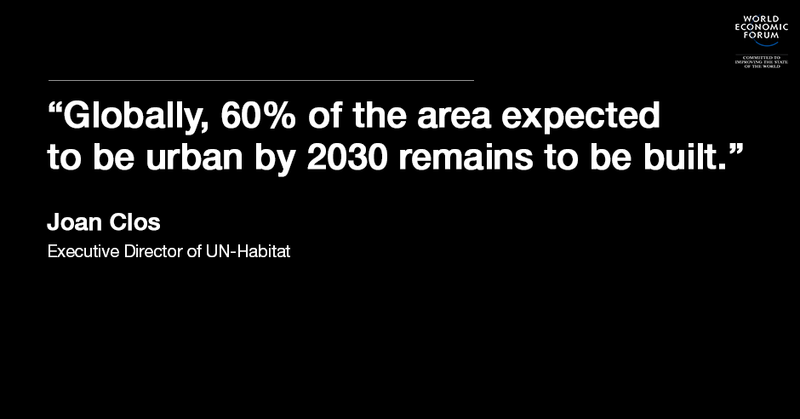 Globally, some 60% of the area expected to be urban by 2030 remains to be built. The World Economic Forum estimates the corresponding infrastructure investment needed stands at USD 3.7 trillion per year until 2050. What is still not counted is the quantity of urban value that can be generated by such investments. Current project designs frequently overlook the basics of urban financing. In the end, few realize the value of new investments, with the public sector often left holding a long-term maintenance tab they can rarely afford. This is an example of the privatization of profits and the "publification" of expenses. For their part, the public sector must adopt legal frameworks that create a business-friendly environment by providing investors with a level of predictability in public policies and plans at both national and local levels. As seen in many developing countries, the financing provided by public sector and development banks is insufficient and must be paired by private finance. In this regard, new, flexible and innovative mechanisms for PPPs are urgently needed. Have you read? Four steps to improve our cities How can we build cities fit for 2036? What's the future of the construction industry?